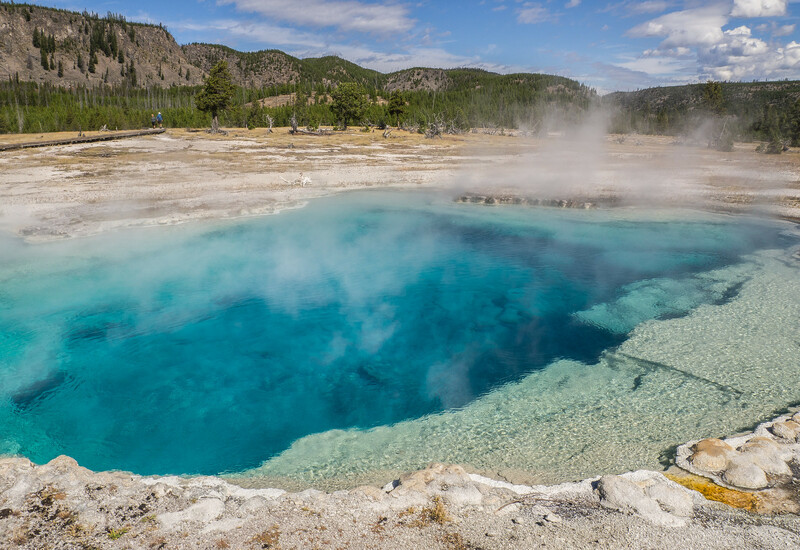 Yellowstone and The Grand Tetons. My in-laws celebrated their 50th wedding anniversary at the beginning of this month. To mark the occasion, they wanted the entire family to take a trip to some place none of us had ever been. So, for a little more than a week, we all went to Wyoming and toured Yellowstone National Park and The Grand Tetons! An absolutely beautiful, stunning place! Pictures do not do it justice at all. If you've never been, I highly encourage you to go. As always, I was appointed official trip photographer. Shot almost 300 digital pictures and six rolls of film. Haven't developed any of those yet, but here is an album of what I took with my Olympus OM-D E-M10: Yellowstone and The Grand Tetons. Some of these were shot with the kit 14-55mm, but others were taken with an Olympus 9-18mm or a Panasonic 40-200mm that were kindly lent to me by a friend. 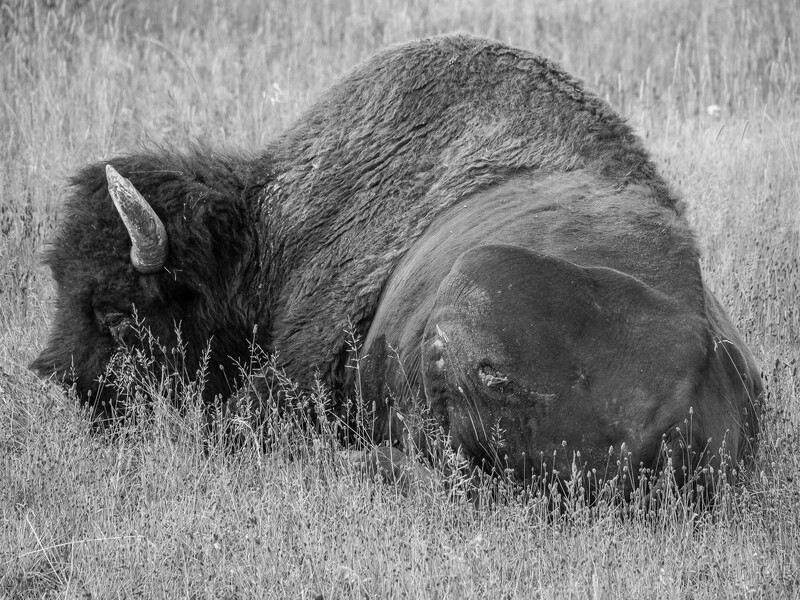 This buffalo was hanging out between the Old Faithful Inn and the General Store next door. While were having breakfast at the store, he wandered over to the front door and stood there for about 20 minutes. The staff had to lock the door while he was there. So, we were essentially held hostage by a buffalo! 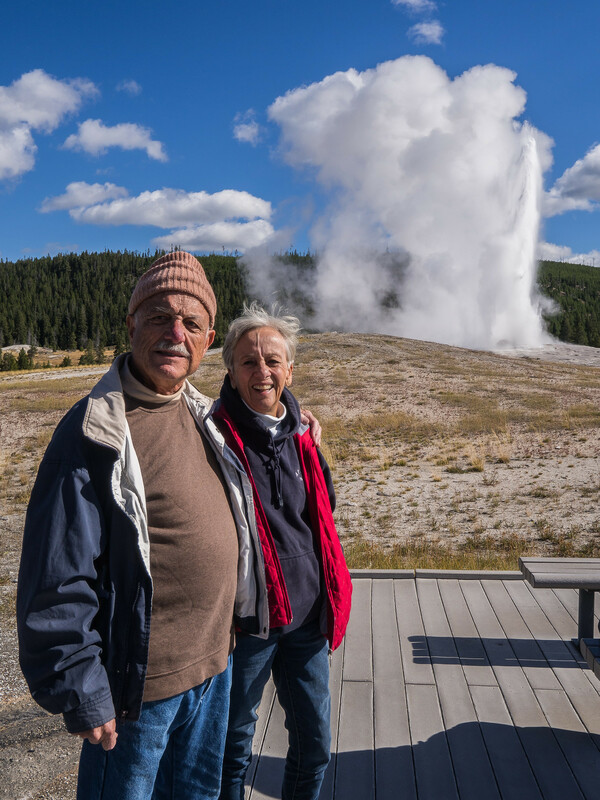 My in-laws at Old Faithful. Re: Yellowstone and The Grand Tetons. I have been following your pics in flickr... these are plain amazing!!! 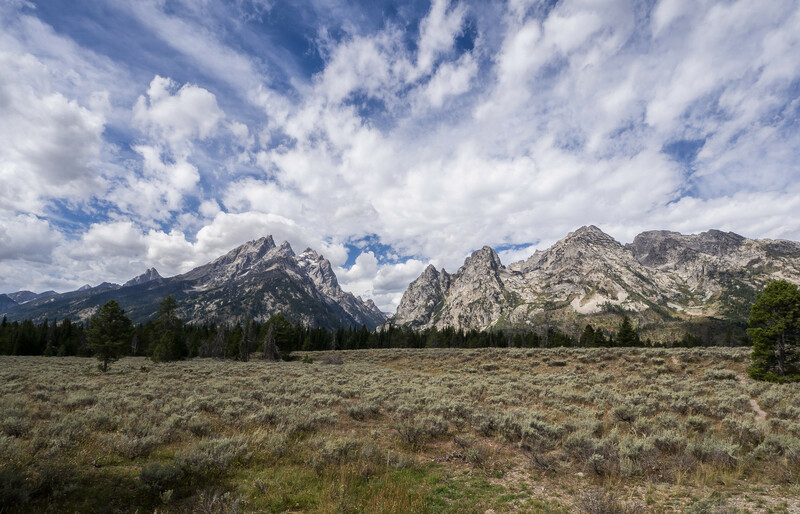 Those are two of the places I mean to visit sometime, especially the Tetons. Of course, if things had worked out differently, I'd be making a grand tour of the West right now. Thanks for posting these, Nathan. No problem! The two parks are right next to each other, so visiting both isn't a problem at all. I want to go to Yosemite next. Our 20th wedding anniversary is coming up in 2017, so that's when we might go.